A time warp of formica and linoleum, this mom-and-pop shop is the native San Franciscan’s go-to donut place. 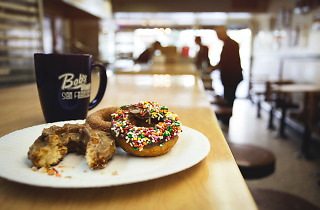 Open 24 hours a day (and yes, there’s regular 2am traffic), Bob’s offers its famed apple fritters, crumb rings, cinnamon rolls and buttermilk bars fresh from the fryer. There’s even a Bob’s Donuts Twitter feed (@whatsfreshest) that tells you what’s coming out of the fryer and when, so you can get ’em while they’re hot. 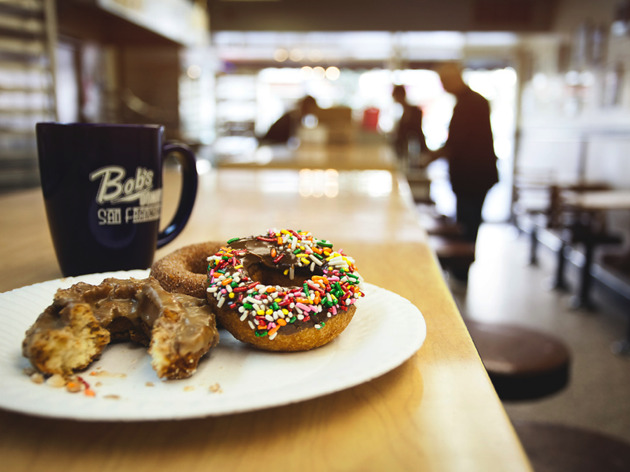 To truly experience Bob’s though, you need to try—at least once—the Big Donut: a 3-pound raised donut the size of your face. Finish it in 3 minutes and you get a Bob’s t-shirt and your name in their Hall of Fame (and probably a stomach ache).